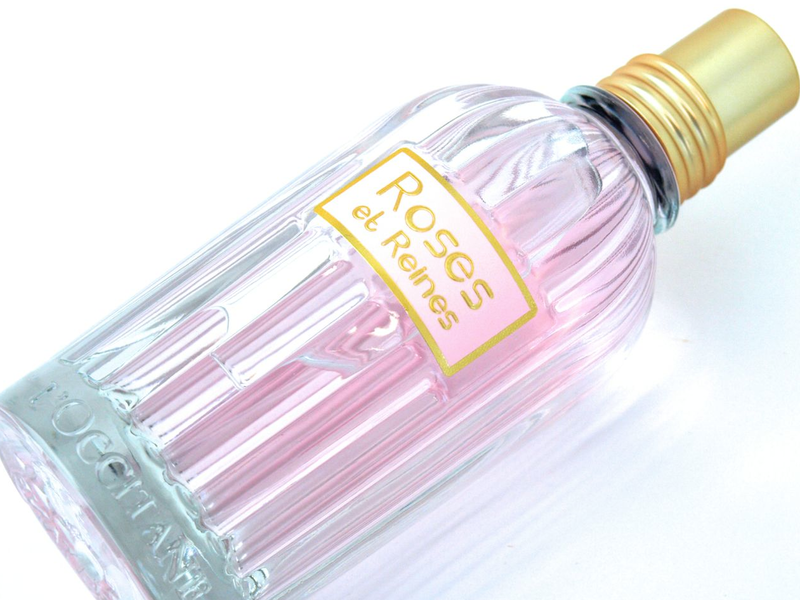 Roses et Reinss Eau de Toilette ($50 for 75ml) comes in a very simple, round, and clear glass bottle with grooves running lengthwise. The bottle isn't awfully fancy but it's simple and cute enough to still look good on the vanity. The perfume itself is tinted a very light shade of pink. 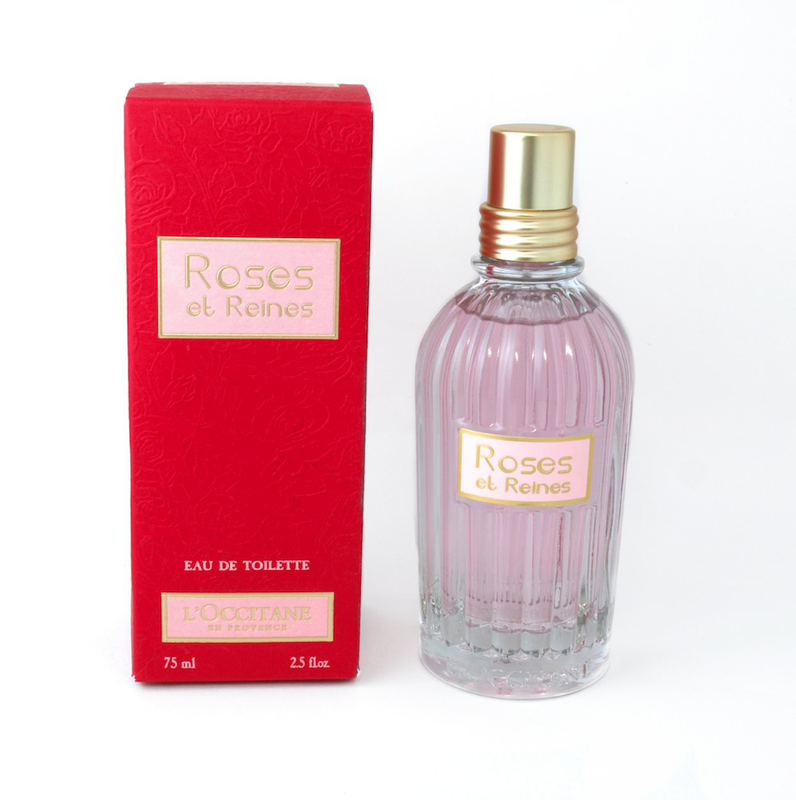 Roses et Reines is described as an elegant and silky rose scent with fresh fruity accents. Upon first whiff, I can detect a faint note of the citrus but very quickly the rosy middle notes engulfs my senses. Roses et Reines to me isn't a complex scent, it's very much a "spotlight on roses" but with that said, though, the blackberry and the bergamot does give it a fruity twist and the musk and the cedar warms up the rose a bit as well. The wear is decent, the rose fragrance stays around for quite a few hours. 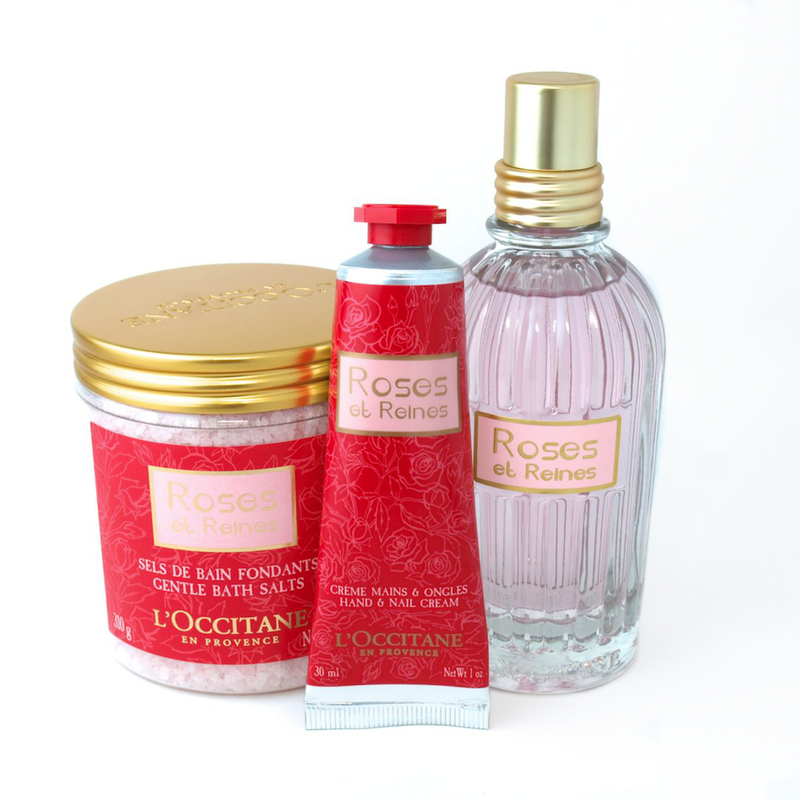 Finally, L'Occitane has also released a whole line of body care products featuring the Roses et Reines scent. I have pictured here the Bath Salts ($24, limited edition) and the Hand & Nail Cream ($12). I think this is a lovely and simple (but not plain) rose scent perfect for those that love roses or want something feminine and elegant. The Roses et Reines collection will be available as of September 2014 in stores and online at L'Occitane.